I started my online career with Helium, moved up to Associated Content, went on to Textbroker, then added Demand Studios and Bright Hub to the roster. I got gigs with webmasters advertising on Digital Point Forums, bid at GetaFreelancer, and had a blog on Today.com that, in retrospect, is so cutely naive I almost want to vomit. Of course, by the time I was done with that blog I had gone from making .01 per word to .10 per word, so it is an interesting progression to watch. With the help of Joe Wallace of The Freelance-Zone and Jenn’s e-book I realized that all those great business skills I had in the corporate world could transfer over to the online writing world. In fact, every skill I used to run an insurance office I needed to run my freelance writing business. Finding leads, networking marketing--all the same things I'd been doing for years I now needed for my own business. I also realized that I had been a writer long before I discovered I was one. All the training manuals I'd written, PowerPoint presentations I had developed, sales brochures I created and business plans I wrote were, in fact, writing and proved that I had a talent--even if I had no college degree to back me up. One year later and my career is in a completely different place. I’m working for myself on a full time basis and supporting my husband and kitties on my income alone. I don't work crazy hours and often enjoy short, 20 hour work weeks. My business is still in its infancy and I sometimes have holes in my schedule that I need to fill, but I am enjoying a relatively low-stress career (low-stress until I spook myself and suffer those little crisis of confidences) with a handful of great paying clients and fun and challenging writing assignments. I get most of my work through networking but that's not always an exact science and is something that writers trying to get out of the full time content mill and penny-per-word habit have to stick with and cultivate. Of course, cultivation doesn’t make money now and that’s why I'm exploring many different markets that freelance writers new to online work are often exposed to. I won't be relying on just my old experiences with these markets, I'll be applying for and taking on these gigs right now and giving you a play-by-play. In this series I'll share what it's like to get gigs on webmaster forums, content mills, residual income sites, bidding sites and more. I'll give you tips to increase your success and let you know how the work feels. And while these may not be my traditional methods for getting gigs, I will treat every one with respect and care while I am executing them--after all, a paying client is a paying client. It's not up to me to place a sliding scale value on their money. As a final note, it is important to remember that these posts are not meant to opine on whether or not you should or shouldn't use any of these sources. I don't know your business model so I don't know if one penny a word is a step up or down for you. 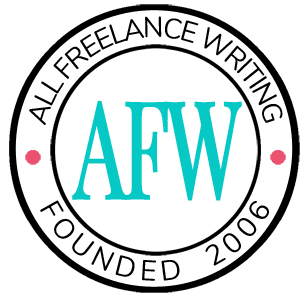 My hope is that, at some point in the series, you'll find a resource that you can use as your stepping stone toward creating the freelance writing business you want, not the one some random blogger tells you to be happy with. Yolanda, I’m looking forward to following this series. I have my own writing specialty that makes me a decent living, so I’m not personally looking for new writing markets. However, many people ask me how to get started in freelance writing. My niece just finished her first college textbook supplement (my specialty) and also her first article for ehow.com. She made 7 times more per hour on the textbook supplement, but she enjoyed writing the ehow article and thinks she can get faster. Amazing how so many of us just don’t realize that while stuck in the corporate world!